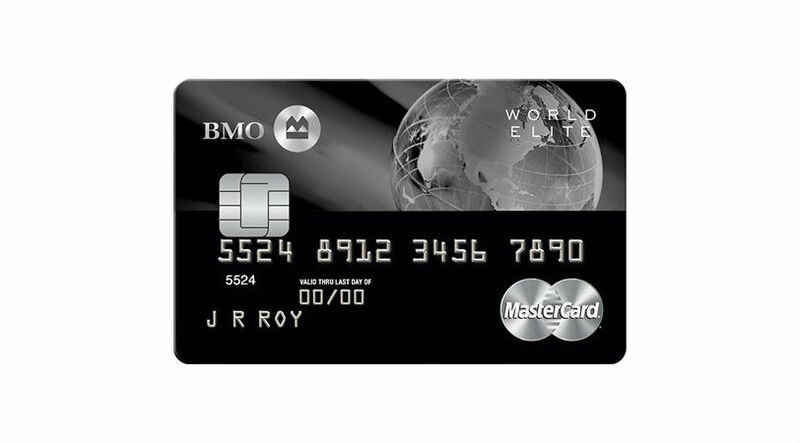 The BMO World Elite MasterCard is one of the best travel credit cards on the market. You’ll earn two points for every $1 you spend, which is a great rate. The card also offers great travel insurance coverage. If you suffer a loss as a result of an accidental bodily injury sustained while occupying a common carrier (for example, an airplane or a cruise ship), you’re eligible for this coverage. Example: You lose your hearing as a result of a plane crash. Coverage: You’re covered up to $500,000. Coverage applies to the cardholder, their spouse, and any dependent children. If your rental vehicle is damaged or stolen while rented out in your name, you’re covered up to the vehicle’s actual cash value plus valid loss of use charges. 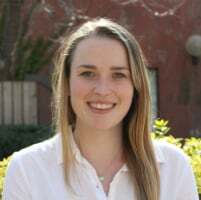 This insurance also includes coverage against the theft of, or damage to, your personal effects, as well as any loss resulting from an accidental bodily injury sustained while in the rental car. Example: You hit a pillar and damage the bumper of your rental vehicle in a parking garage. Coverage: You can expect up to $65,000 in coverage. If you have to cancel your trip before it’s even started, your prepaid travel costs will be covered up to a maximum amount if the cause of cancellation is eligible for the insurance. Example: Prior to your trip, you become injured and your doctor advises you to cancel your trip. Coverage: You can receive up to $2,500 per person and $5,000 per trip. If your trip has to be cut short or is delayed after the scheduled departure date, benefits are payable when a covered event occurs. Example: There’s a family medical emergency that requires you to return home and cut part of your vacation short. Coverage: You’re eligible to receive up to $2,000 per person. 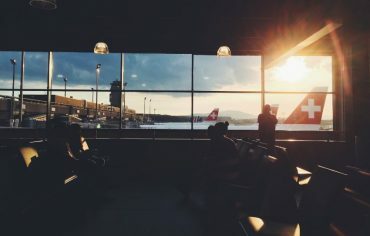 If your departing flight is delayed by a certain number of hours, you’ll be reimbursed up to a certain amount for necessary and reasonable expenses incurred during the delay. Example: If your flight home from London is delayed eight hours due to poor whether conditions. You’ll be reimbursed for additional expenses you incur such as meals. Coverage: You can receive up to $500 for any delay beyond six hours. 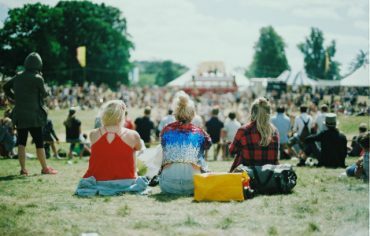 In the event you require urgent medical care while on a trip outside of your home province, you’ll be covered for any eligible medical expenses incurred. Example: You slip on a pool deck and require stitches to your head. Coverage: You’re covered up to $2 million for 21 days. You must be under 65 to receive coverage. In the event your checked baggage can’t be located by a common carrier, you’ll be reimbursed for a portion of the replacement cost of lost personal property. Example: You fly home from a family vacation but when you arrive your luggage isn’t there. And a few weeks later you’re informed by the airline your luggage is lost. You can receive reimbursement for the items you’ve lost. Coverage: You can receive up to $750 per person and up to $2,000 per trip. If your checked baggage isn’t delivered within a specified timeframe from the time of your arrival at your destination, you’ll be reimbursed for the cost to replace essential items. Example: You go on a trip and find out your baggage will be delayed for several days. As a result, you have to buy clothes and basic toiletries. Coverage: You’re eligible for up to $200 per person for any delay greater than 12 hours. 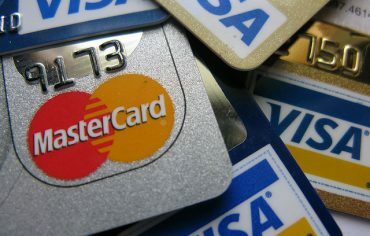 This is a brief overview of the BMO World Elite MasterCard travel insurance. 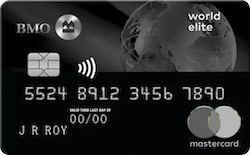 If this looks like the right amount of coverage you want in a travel rewards credit card, the BMO World Elite MasterCard might just be the perfect card for you.